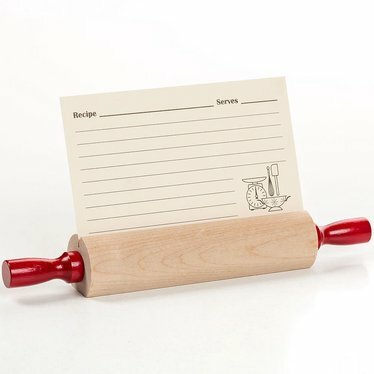 Mini "rolling pin" keeps your recipe upright as you cook. Just put your card in the slot and place on your counter. Note: Recipes cards sold separately.